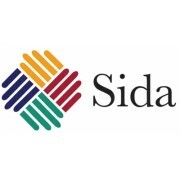 USAID and Sida form a public-private partnership that tackles the issue of clean water shortage by stimulating innovation, technology and entrepreneurship. The U.S. Agency for International Development (USAID) in partnership with the Swedish International Development Agency (Sida), has launched a new program, Securing Water for Food: A Grand Challenge for Development. Water scarcity is one of the most pressing global challenges. Approximately 2.8 billion people – more than 40% of the world’s populations - are affected by water scarcity. As more than 70% of the world’s water is used in agriculture, global food security is particularly hampered by the lack of available water. Through this $25 million program, USAID and Sida will fund and accelerate scientific and technological innovations that can be sustained with market-based approaches to more effectively use and manage the water required to produce food in developing and emerging countries. Funding will be provided to science and technology innovators, entrepreneurs, businesses, and academics to accelerate the best solutions in three key areas that impact food production: water reuse and efficiency, water capture and storage, and salinity. Support will also be provided to facilitate the adoption of these solutions in new and emerging markets. The initiative specifically focuses on improving water efficiency and reusing wastewater, reducing the impacts of salinity in coastal area water supplies and building resiliency to drought through effective water capture and storage systems. With this Grand Challenge Fund, the partners are looking to finance the brightest ideas within the field and help innovations make their way from the drawing table and into real life.